The new company formed out of the two, NewmontGoldcorp, among others will begin delivering $365 million in expected annual pre-tax synergies, supply chain efficiencies and Full Potential improvements, representing $4.4 billion in Net Present Value (pre-tax). Newmont which operates two mines in Ghana, says the new company will also target six to seven million ounces of gold production over a decade-long time horizon. 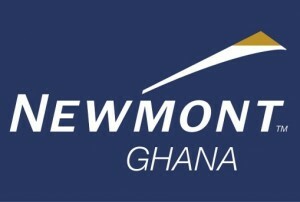 In a press release issued Saturday April 13, 2019 and copied to ghanabusinessnews.com, Newmont announced that its shareholders approved the authorization and issuance of common shares in connection with the proposed transaction with Goldcorp Inc. The shareholders of Goldcorp have also voted in support of the deal to combine the two companies – more than 97 per cent voted in favour of the deal, it added. According to Newmont, the proposal to increase authorized common stock required a majority of shares outstanding, whereas the proposal to issue shares for the transaction required a majority of votes cast. “Newmont shareholders approved the increase in Newmont’s authorized common stock with more than 76 per cent of the outstanding shares voting for the proposal and approved the issuance of shares pursuant to the transaction with more than 98 percent of the votes cast for the proposal,” the release said. Newmont operates two mines in Ghana – the Ahafo and Akyem Mines.